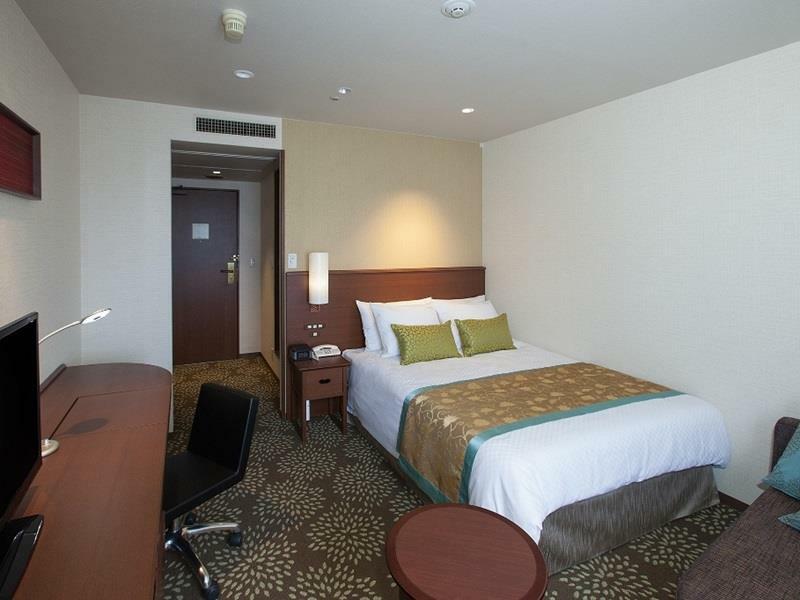 Holiday Inn ANA Kanazawa Sky, който се намира в Kanazawa, Ишикава, е популярно място за туристи. Оттук гостите имат лесен достъп до всичко, което този оживен град може да предложи. С удобното си местоположение хотелът предлага лесен достъп до всички градски забележителности, които задължително трябва да се видят. 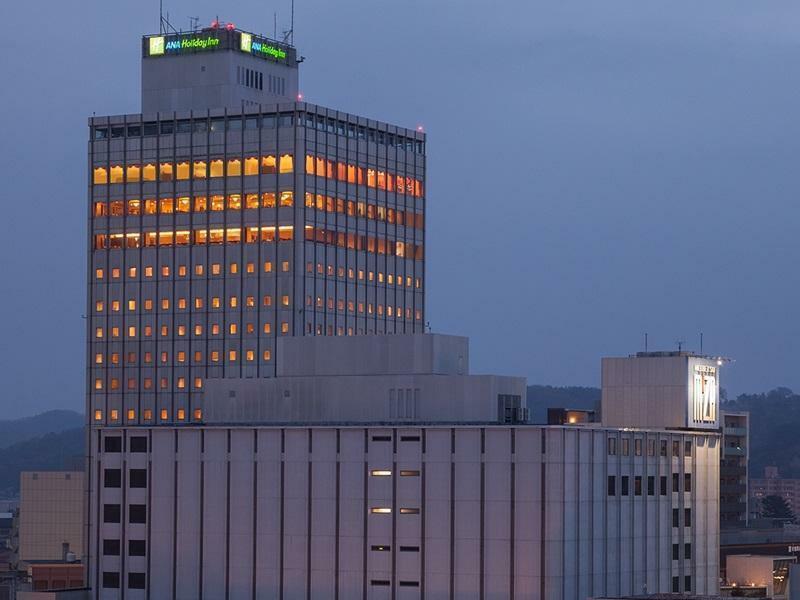 Предлагайки висококачествени услуги и широка гама от удобства, Holiday Inn ANA Kanazawa Sky Ви осигурява възможно най-комфортния престой. Хотелът е оборудван със съоръжения като безплатен WiFi достъп във всички стаи, 24-часова рецепция, съхраняване на багаж, Wi-Fi връзка в общите части, паркинг. Всички стаи се отличават с грижливо замислени удобства, което гарантира неповторимо усещане за комфорт. Освен това в хотела можете да се възползвате от множество предложения за приятно прекарване на свободното време. Когато търсите удобно и комфортно място за настаняване в Ишикава, изберете Holiday Inn ANA Kanazawa Sky, който ще се превърне във втория Ви дом. Quite a distance from kanazawa station but excellent staff and service. Good location between the railway station and the castle and gardens - easy walking distance in either direction. Staff were friendly and polite. The food was very good, particularly breakfast which had a very good choice of western and Japanese food. We arrived late in the evening as planned. The room was excellent except it was a smoking room. We were too tired from traveling over 24 hrs to get here to request a change. With a rate of CDN$300, no meals included, we found it to be poor value for the money. Other than that, excellent location, nice boutique hotel feel. conveniently located - next to the local market with a mall below. Great place to explore Kanazawa. Very good staff services with smiling faces. Had a room with one extra mattress on the flooring, 3 of us. Still had enough space to move about. Layout of room really good. The room we had was definitely looked wheelchair friendly. The mattresses a real plus. I never encountered anyone non-smiling staff. Really professional. We walked to the hotel from the train station with one suitcase each quite comfortably. Hotel just across the Omicho market and walking distance to the Castle. I loved staying there and the hospitality was top-notch! Highly reccomend to anyone staying in Kanazawa. This is only 2-3mins to walk to wet market, and we can enjoy food at there. Good location as we also have department store at downstairs. However, this is ard 10-15mins walk to JR Kanazawa Station. After a problem with our reservation, we spent one night in a classic single room and then got upgrade. First room was ok but a bit depressive. Second room was absolutely great, big, with a lotbof natural light. Location is 10/15 mins walk from station. Staff has a lot of trouble speaking english. 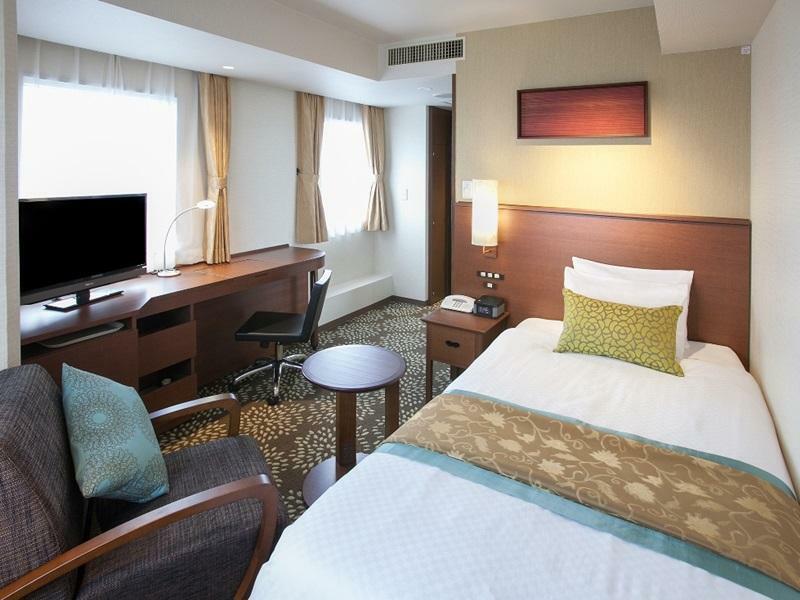 The hotel is about 10-15 min walk from Kanazawa Station. The hotel lobby is at 16th floor, the view is very good. Hotel room is clean,staff is very friendly, and the overall experience is very comfortable. No telephone shown on booking voucher. Finding the hotel was difficult. It is a very pleasant stay. Staff were extremely polite and helpful. The room was not very big, but it is just next to the railway station, which makes it very convenient if you arrive in Kanazawa by train. I haven't try the food in this hotel so I cannot give any comment on the food. The location is good. And I appreciate free additional bed for my 6 years old child. Convenient location within walking distance to most major sites. The breakfast setting on the 16th floor came with near panoramic views of Kanazawa, friendly staff, excellent coffee and a broad variety of nicely prepared food.